The venerable Italian attack plane of the Royal Iraqi Air Force. 1- Air Lt. Colonel Mohammed Ali Jawad, commander of RIQAF. 2- Major pilot Hifzi Aziz, the squadron commander and air weapons specialist. 3-First Lt. pilot Jawad Hussain engineer officer. The delegation traveled to Rome via Cairo, where it was received with great interest from the Italian side. The delegation was selected to buy 15 aircrafts type Breda Ba-65 fighter aircraft . On 25.09.1938 Italian fighter aircraft type Breda Ba-65 was arrived by ship to Basrah port. And was formed the Fifth Squadron with all Italyan made aircrafts. The Squadron Commander Maj. Aziz and the Squadron Base Al-Rashid Camp Air Base. The 15 aircrafts two of them dual-control trainers and the remainder with Breda L turrets; and with Fiat-powered engines. The Iraqi Ba.65s saw limited action against the British during the 1941 insurrection. This was the first attack aircraft of Iraqi air force and well-armed and single wing, which advanced all previous Iraqi Air Force aircrafts British made, but they lack the speed and maneuvering for fighter role. Here are some pictures of the Breda BA65Bis fighter bombers that served against the British in 1940-41.
some info on the bredas from wikipedia. The Breda Ba.65 was an all metal single-engine, low wing monoplane used by Aviazione Legionaria during the Spanish Civil War and Regia Aeronautica in the first part of World War II. 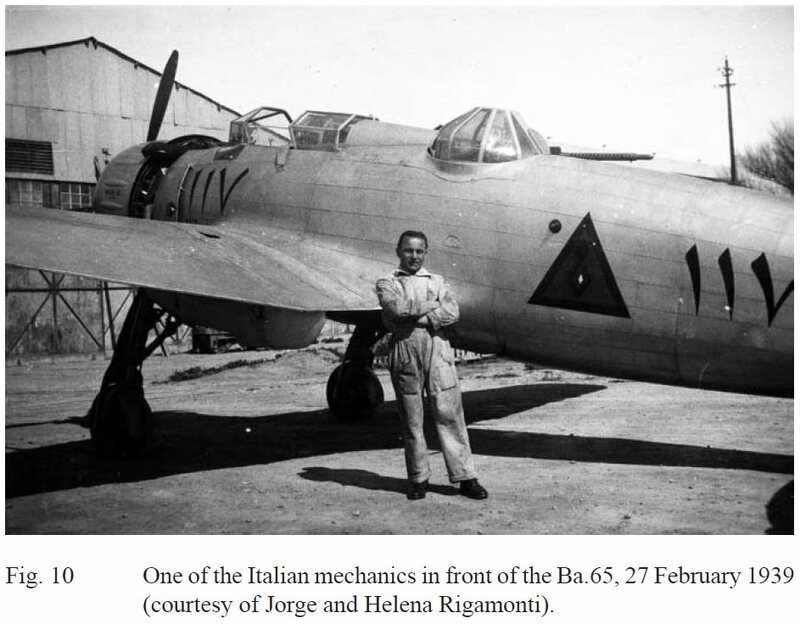 It was the only Italian ground-attack aircraft that saw active service in this role. It saw service almost exclusively on the North African front. A total of 55 machines were exported and used by the air forces of Iraq, Chile and Portugal. An evolution of Ba.64, the Ba.65 was designed by Antonio Parano and Giuseppe Panzeri. The Ba.65 was a single-seat, all-metal, low-wing cantilever monoplane with aft-retracting main undercarriage. Like its predecessor, it was intended to undertake aeroplano di combattimento multiple roles as a fighter, attack and reconnaissance aircraft. The Ba.65 carried wing-mounted armament of two 12.7 mm (0.5 in) and two 7.7 mm (0.303 in) Breda-SAFAT machine guns, with internal stowage for a 200 kg (440 lb) bombload in addition to external ordnance that could total 1,000 kg (2,200 lb). The prototype, which was first flown in September 1935, like the initial production aircraft, used the 522 kW (700 hp) Gnôme-Rhône K-14 radial engine produced under license by Isotta-Fraschini. Starting from the 82nd aircraft, the more powerful Fiat A.80 RC.41 18-cylinder, twin-row radial with a takeoff rating of 746 kW (1,000 hp) engine was adopted. Production ceased in July 1939 after 218 aircraft were built by Breda and Caproni. The Ba.65 debuted during the Spanish Civil War. 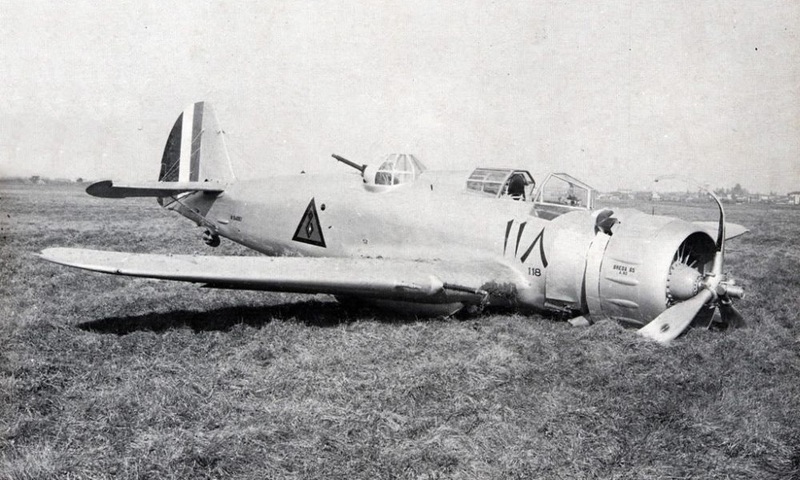 Thirteen Series I aircraft, powered by the Gnôme-Rhône engine, equipped the 65a Squadriglia of the Aviazione Legionaria (Legionary Air Force). The unit took part in operations at Santander in August 1937, then a Teruel and in the battles for the river Ebro. It proved effective and was compared positively with the German Junkers Ju 87 Stuka. In a unique engagement, on 24 July 1936, one of the Legionary Air Force pilots scored an air-to-air victory when he encountered a lone twin-engine Tupolev SB-2 bomber over Soria and shot it down. Of the 23 Ba.65s sent to Spain, 12 had been lost in the course of the civil war. The Ba.65s flew 1,921 sorties, including 368 ground-strafing and 59 dive bombing attacks. When the Aviazione Legionaria returned to Italy in May 1938, they bequeathed their 11 surviving Ba.65s to the Spanish Air Force. From 2–31 May 1941, the Royal Iraqi Air Force of the Kingdom of Iraq flew the Ba.65 during the Anglo-Iraqi War. War broke out after an Iraqi coup d'état installed a new government while maintaining the existing monarchy. The Ba.65 was used against armed forces of the United Kingdom and the Commonwealth of Nations which were invading the Kingdom to oust the new government. 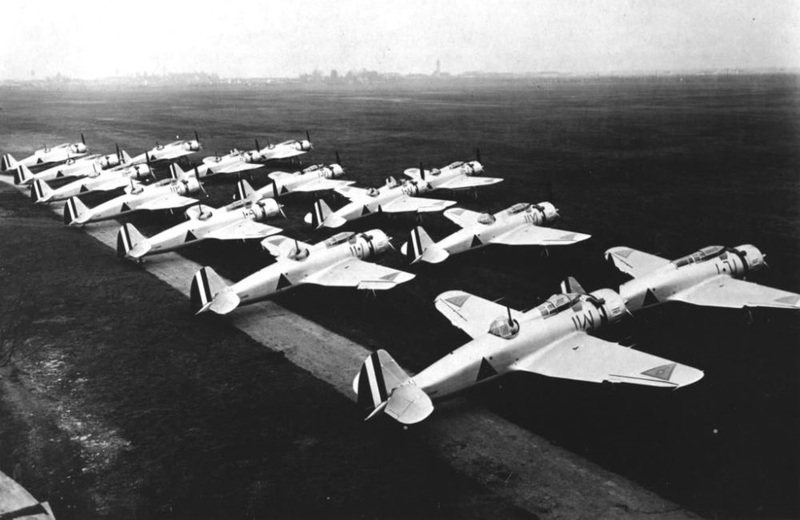 A total of 15 Fiat-powered Ba.65s two-seaters were sold to Iraq in 1938. In the mix, were 12 were equipped with Breda L turrets and two dual control trainers. They saw action against the British. The Ba.65′s ill-starred combat career was briefly revived on 5/2/41, when hostilities broke out between British forces in Iraq and that country’s anti-British, pro-German chief of the National Defense Government. Among the Iraqi aircraft that attacked the RAF base at Habbaniya that day were some of the 13 Ba.65bis machines that had been delivered to Iraq in 1938 and assigned to No. 5 Squadron, RIAF. 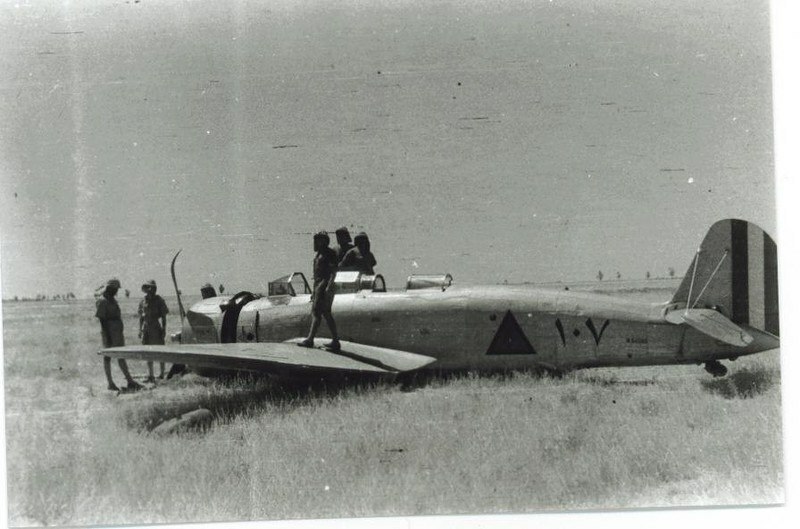 Although three British aircraft were destroyed on the ground in the initial strike, subsequent Iraqi sorties were disrupted by Habbaniya’s defenders. Later that same day, Flying Officer J.M. Craigie, flying a Gladiator of Habbaniya’s ad hoc fighter flight, was about to land when he saw a Ba.65 coming in to bomb the field. Pulling up, he fired at the Breda and forced it to break off its attack, although he failed to bring it down. Over the next few weeks, damage from aerial opposition and ground fire, combined with inadequate maintenance facilities and an insufficient supply of spare parts, eventually grounded all the Iraqi aircraft. Despite some desultory aid from the Germans and Italians, the Iraqis failed to drive out the British, who were soon invading Iraq. On May 31, an armistice was signed ending the Iraqi revolt and the fighting career of the Breda Ba.65. Does anyone know what was the actual fate of the Iraqi breda bombers after 1941? Most of the Iraqi Ba-65 was destroyed or captured on their airfields by the British,and were burned and destroyed. Yes, one of two shown in the photo in the previous post. The aircraft in the background.